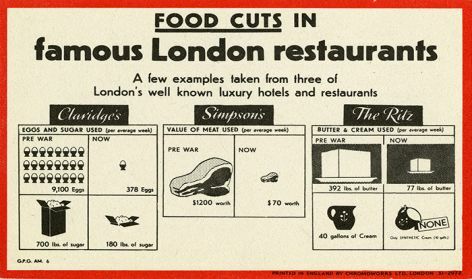 'Food cuts'. From a selection of Ministry of Information printed propaganda (1939-1945). Uncatalogued (EBL-1). 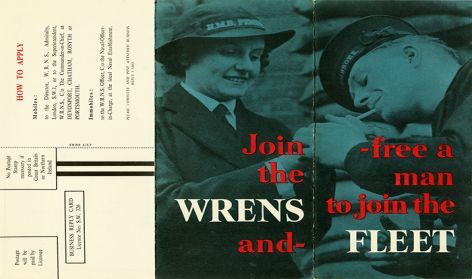 'Join the Wrens'. One side of two-sided recruitment pamphlet. From a selection of Ministry of Information printed propaganda (1939-1945). Uncatalogued (EBL-1). 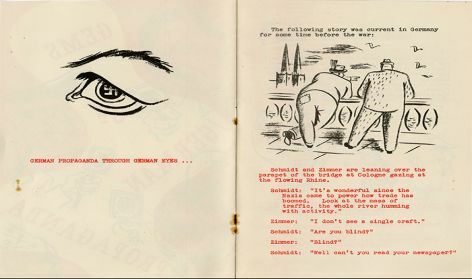 'German propaganda through German eyes...'. Pages 1-2 from a pamphlet entitled 'Gems of German Propaganda'. From a selection of Ministry of Information printed propaganda (1939-1945). Uncatalogued (EBL-2). 'Postcard'. From a selection of Ministry of Information printed propaganda (1939-1945). Uncatalogued (EBL-5). 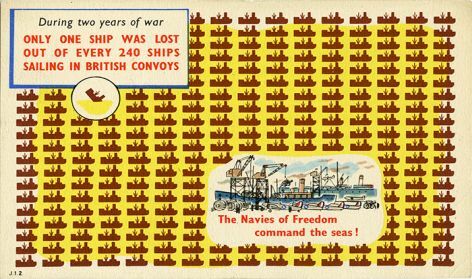 Edwin J Embleton (1907 - 2000) is most widely recognised for his work as studio manager at Odhams Press and in the Publications Division of the Ministry of Information during the Second World War. The Archive includes a diverse range of Ministry of Information printed propaganda from 1939-1945, including over 80 magazines, pamphlets and other ephemera, mainly in English, but also in other languages including French, Spanish, Dutch and Arabic.